The “Collective Approach,” our skin ethos, maintains that lifestyle plays an integral part in the health and vitality of the skin. This is why we include questions on our intake form that relate to stress levels, diet, exercise and more. We believe that in analyzing all of these facets, we can guide you to your best skin. With the arrival of spring just a few weeks away, we have been thinking about detoxes and cleanses. In this blog post, we’ll discuss how detoxification can benefit the skin and what to look for in a well-rounded detox program. There are certainly those who dispute the need for detoxification, as our body is designed to detoxify itself; however, modern lifestyles and environmental factors can contribute to a toxic overload which requires more from our systems than they can handle at one time. A simple analogy would be to envision yourself walking down a serene and clear path, only to find obstacles appearing that block your smooth passage. You have to work much harder to get past these blocks in the path. This is what excess toxins can do to the smooth operations of our body’s systems. Our organs have to work hard to eliminate excess toxins, thus disrupting and taking away from their other functions. 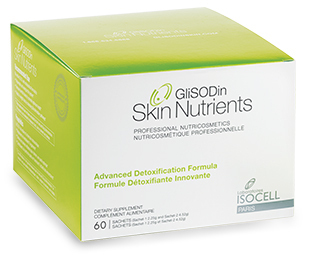 How does Detoxification Benefit the Skin? The skin is the body’s largest organ and one of its primary functions is elimination. When there is an excess of toxins in our system, it can be manifested in the skin by sallowness, excess congestion (bumpiness and blackheads), enlarged pores, breakouts and dark circles. There are of course other contributing factors which can elicit these conditions in our skin which should not be overlooked; simply doing a detox will not cure these conditions, but it can be one step in their alleviation. Not convinced? Just think of how highly toxic lifestyles lead to premature aging for smokers and heavy drinkers. Enough said. Will I Breakout from a Cleanse? Elimination is one of your skin’s functions. With this in mind, detoxification can lead to some skin flare ups like eczema or blemishes. Coming in for a facial can help to alleviate these problems, but don’t panic, generally these responses to cleansing are short-lived and will subside within a few days as the toxins are eliminated. We suggest the Fresh Face Treatment combined with 30 minutes of Cupping to support a detox program. When considering a detox program, it is important to evaluate your goals. Often detoxes are undertaken to facilitate weight loss (the Master Cleanse is a notorious example of this). Unfortunately, more extreme cleanses like this do not facilitate the formation of new healthy habits post-cleanse and therefore, weight gain and toxins are reintroduced in full force. A well-rounded detox program will include whole fruits and vegetables, lean protein and sometimes herbal or nutritional supplements to facilitate cleansing. Most cleanses and detox programs require you to cut out refined sugar, flour, alcohol, dairy and sometimes caffeine. Depending on their length, these can be daunting changes to make. This program is specifically designed as a support for optimal skin health, resulting in improved skin clarity and luminousity. It is a gentle detox which integrates an anti-oxidant enzyme superoxide dismutase with berries and chardonnay grapes to provides cellular protection from free radicals while toxins are chelated and neutralized by alpha lipoic acid. This formula also takes into account supporting a healthy intestinal flora and supporting liver cleansing. There are suggested dietary choices, but this cleanse does not require that you modify your diet in order for it to be effective. Designed by cardiologist Dr. Alejandro Junger M.D., this 21 day cleanse involves daily juices, smoothies and one solid food meal per day. 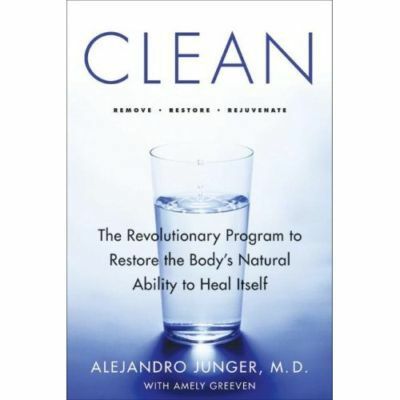 Dr. Junger’s Clean Program is designed to support the body’s needs, functions and natural detoxification abilities. It doesn’t hurt that this cleanse is endorsed by celebrities like Gwyneth Paltrow and health professionals like. Dr. Junger’s book “Clean” is extremely informative about how our bodies become toxic and the corresponding negative effects this has on our health. Written by naturopathic doctor Natasha Turner, this book is a great resource for people who are struggling with their weight. Dr. Turner examines how our hormones can become imbalanced for a variety of reasons which can greatly affect our ability to loose and maintain a healthy weight. The book includes a two week guided anti-inflammatory detox in addition to extensive programs for a variety of hormonal imbalances. It provides a wealth of easy to understand information about hormonal health that anyone can benefit from knowing. This 12 day cleanse has been around for a long time – because it is good. There is a large variety of foods which are permitted to be eaten during the cleanse which makes it convenient. In addition to dietary modifications, the Wild Rose Cleanse includes herbal formulas designed by clinical herbalist Dr. Terry Willard to enhance metabolism and elimination. Each of these cleanses has something unique to offer, but most importantly, they are backed by the rationale of balance and support for your body. With that – happy cleansing and healthy skin!